It was common practice when I was at school/college - perhaps it still is - to always start off your essay by saying that you needed to define what was meant by X; it was a good way to start writing rather than stare at a blank piece of paper. I don't need to do that any more - I don't seem to have trouble writing enough words these days, just the opposite - but I still think it's worth starting off with some kind of definition of so-called Kitchen Sink films, or New Wave films, as they do seem to be all things to all people. Rather like film noir, the cateogry is sometimes endlessly expanded; there was a two minute taster on youtube for a 15 minute piece there entitled 'British New Wave Cinema of the 1960s', both of which have since been removed since so I can't post them here, but their definition goes on to include If...(1968) and Swinging London films such as Alfie and The Knack...and how to get it. Everyone is entitled to their opinion of course, and good luck to them (and it was a nicely put together piece) but on this page I've just taken these films to mean those between 1958 and 1963 (for reasons which I'll go on to) and defined my parameters rather more narrowly. So what to include? Here's a timeline of the films that are usually included, along with the dates of the source book or play and when they were first published or performed. Set out in this fashion, a number of things become a bit clearer. Firstly, all the so-called New Wave films have literary antecedents, but, more noticeably, very recent literary antecedents (the normal gap between publication/first production and film release is 2-3 years); secondly, the literary impetus had run its course by 1960; and thirdly, the first film (Room at the Top, right) was in 1959, the last (what I mean by that I'll come on to) in 1963 - four short years. 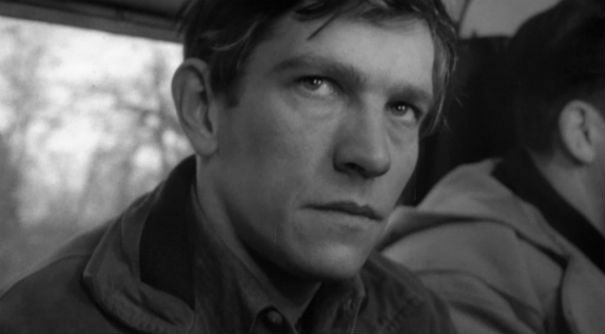 Billy Liar is, for me, a very different film, that needs to be discussed more as a precursor to Swinging London films (see below), and The L-Shaped Room rarely gets included as a New Wave film, perhaps because it's set in London. 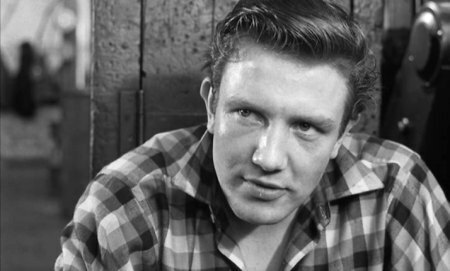 Albert Finney in Saturday Night and Sunday Morning - "whatever people say I am, that's what I'm not"
I can't remember a time when I didn't love these films. I'm not sure whether I first saw Saturday Night and Sunday Morning on the TV or at the cinema, but I do remember seeing it at the Watershed in Bristol in December 1984 during my first year at college, and thinking what a great film it was; I haven't changed my mind over 30 years later. 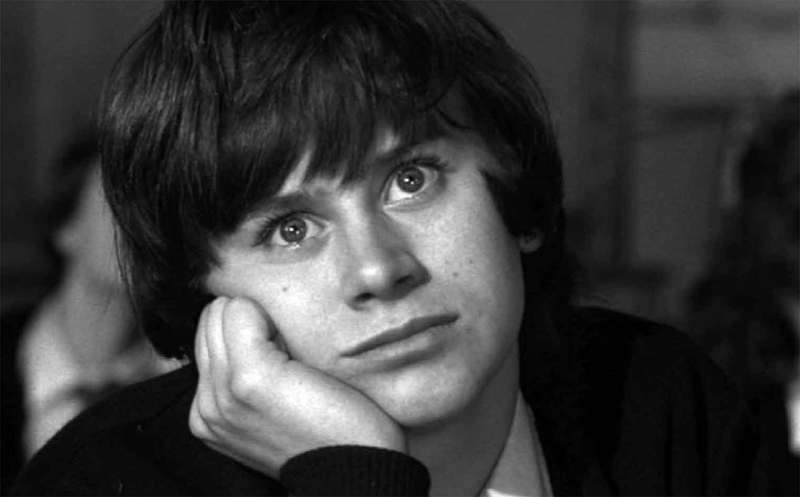 I showed it as one of 10 films in a British 60s cinema 'season' as part of a film club I ran in Abu Dhabi a few years ago, and it was generally regarded as the best of the 10. I remember searching them all out (bear in mind this was long before the days of Netflix, Lovefilm, downloads and Sky movie channels) and wanting to read more about them and learn about the people that made them; it's probably no exaggeration to say that they started my passion for British films. In many respects it's quite irritating that these films get lumped together, as it often only serves to hide how different they are, and the different themes and issues they explore. One of the biggest differences for me lies in the representation of the main characters and their attitudes to life. The character who started it all off in a way, Joe Lampton in Room at the Top, is the archetypal go-getter, ambitious for life's material rewards in terms of house, cars, women and clothes (not necessarily in that order), without being servile in any way, whilst Arthur Seaton in Saturday Night and Sunday Morning couldn't give a damn about 'getting on', in fact he rails against such an idea right at the very start of the film: "What I'm out for is a good time, all the rest is propaganda." Some of his comments might suggest that he would be hard left, maybe even Communist, but he would probably laugh in contempt at the thought; as he again himself says "Whatever people say I am, that's what I'm not". Colin Smith in The Loneliness of the Long Distance Runner perhaps comes closest to the young Bolshevik, in his speeches on what he would like to do to all the bosses (put them against the wall and shoot them) but he is hardly representative of the working class, being a petty criminal who doesn't seem to have a job or indeed want one. 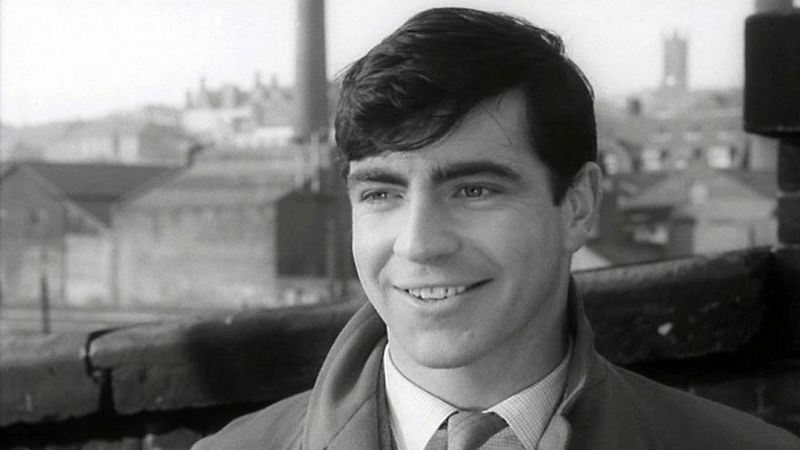 One character who certainly isn't an Angry Young Man is Vic Brown in A Kind of Loving, whose very ordinariness is sometimes painful. As a draughtsman he is a social class or two above Arthur Seaton and Colin Smith, maybe Joe Lampton too, and whilst not overly ambitious he does sense that there's more to life than what he has at the moment, before having to settle for married life once Ingrid is pregnant. 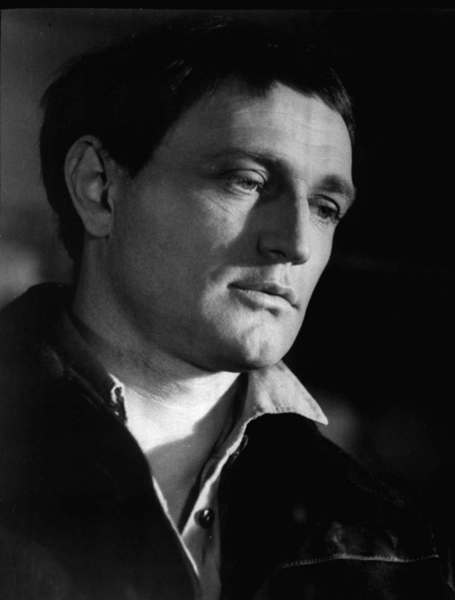 Frank Machin is probably the nearest character to Arthur Seaton - it would not be too much of a stretch of the imagination to imagine them having a beer together, whereas that scenario is pretty unlikely with any of the other main New Wave characters - yet even there Machin knows what he wants in terms of money (which he immediately uses to buy a car, hard to imagine Seaton caring about a car if he came into some money) even if he is rather confused and uncertain in other areas of life. And of course the only main female character in the New Wave films, Jo in A Taste of Honey, seems to have no plans or ambitions at all, and remains probably the most enigmatic and hard to read character of them all, possibly as she was created in a play rather than a novel, so that her thoughts only come across in dialogue, whereas all the others came from novels, often written in the first person. "I hate studios. I no longer want to shoot even interiors in a studio, I would rather work in the limited conditions which a location imposes on you. For the sort of realistic films I want to make, by improvising one's way out of the impossibilities of real conditions you get something on the screen that is more true, somehow, than something contrived on a set....once inside a studio you start taking walls out....One is getting in fact less of the human reality." This Sporting Life was the last of the New Wave films, coming out in Feb 1963; but by the time it came out it had missed the boat, and was a box office failure. John Davis, of the Rank organisation, even went so far as to decide to never make such films again, calling instead for films to be entertainment first and foremost. Some have argued that This Sporting Life was the best of the New Wave films, but it's not an opinion I share, in fact it's my least favourite of all the films. Six months later Billy Liar was released, which although it often gets lumped in with the New Wave films, in fact was marketed very differently to the others and it turned out to be a pivotal 'bridging point' between the Northern films and those that were to make up the Swinging London films. Billy goes home, and back to his comforting, fantasy world, whilst Julie Christe herself went on to play Diana Scott in the seminal Swinging London film Darling, light years away from the gritty North. As I grew older and learnt much more about these films, they were often presented as a group or set of films that were in direct contrast to the staid and dull 50s. There is an element of truth in that, to be fair, but the conventional reading of British film history (basically: 30s - pre-history, 40s - war films, Ealing and David Lean, 50s - dull, 60s - New Wave and Swinging London, 70s - rubbish, 80s - renaissance) is so restrictive that it is amazing how long its basic elements have remained in place. About 6-7 years ago I read an article by Peter Hutchings (a Professor at Northumbria University) called 'Beyond the New Wave: Realism in British Cinema, 1959-1963' which has greatly influenced me (it's in 'The British Cinema Book' edited by Robert Murphy). In it he argues that 'realism' was deployed in these key years across a much greater range of types and genres than is usually noted, citing such films as Never Let Go, The Angry Silence, The Damned, The Frightened City and Beat Girl, amongst many others (all of the aforementioned are films I'd like to write about on this website in the future, probably on the 'Unsung films' pages - in fact I've just written a page on Never Let Go [June 14]). This idea fits in very much with the view I've come to independently, that the New Wave films need to be seen in a wider context than has been the case in the past. 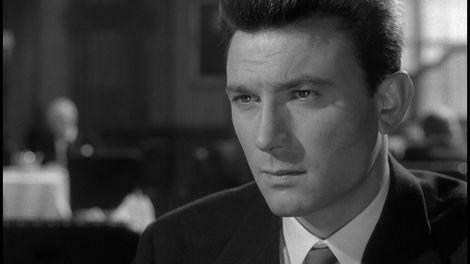 ﻿ If I get asked to give another talk on aspects of British cinema, I wouldn't mind looking at 'realistic' New Wave crime films, like The Frightened City, Hell Drivers, Offbeat, and The Informers. There are clearly enough similarities in the films for them to be open to parody, and Harry Enfield's South Bank Show with Melvyn Bragg from 1989 - 'Sir Norbert Smith: a Life' - did it better than anyone. Here's a clip from the programme, with Sir Norbert (surely a direct reference to Sir Laurence Olivier at this point?) appearing in the 1962 Kitchen Sink film 'It's Grim up North' - mainly Saturday Night and Sunday Morning but with a bit of Kes thrown in. Brilliant.